VisitEngland is shining a spotlight on the country’s tourism industry in a week devoted to travel and exploration during English Tourism Week (ETW) 17-25 March 2018. Now in its seventh year, ETW raises the profile and showcases the benefits of the tourism industry to local communities and the economy. 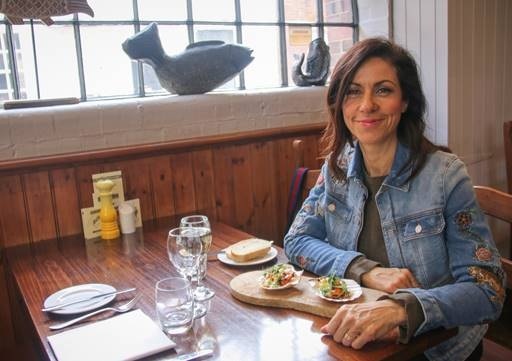 In the lead up to ETW, VisitEngland is working with television presenter Julia Bradbury, to encourage more Brits to explore the country and discover all there is to see and experience on their doorstep this spring. Julia has selected a few of her favourite things to do in springtime in a short film to be launched across VisitEngland’s social media channels. To see Julia's film on things to do this spring click here. 'Springtime in England is such an exciting time with our beautiful countryside leaping to life as it stirs from its winter slumber. From wildflowers to new-born animals, from heritage buildings reopening to mouth-watering seasonal food, it’s one of the best times to blow off the cobwebs, get outdoors and explore the amazing landscapes, experiences and activities on your doorstep. This year the spring equinox falls during ETW and VisitEngland is asking people to share their favourite spring moments using #Springland, #ETW18 and #VisitEngland. Latest VisitEngland statistics show that from January to November 2017 Brits took more than 44 million domestic holidays, spending in excess of £10 billion on staycations, up five and six per cent respectively compared to the same period in 2016. To promote tourism during the week VisitEngland has created an events website for people to find out about, and book, activities with many offering discounts and incentives to encourage visitors. For a selection of the best offers see the blog here. VisitEngland is also planning a country-wide ‘Instameet’ to celebrate ETW. More than 450 Instagrammers are expected to attend 10 Instameets during ETW showcasing England at its springtime best. Attendees will share ‘grams’ using the hashtags #Springland, #ETW18 and #VisitEngland with VisitEngland rounding up its favourite #Springland posts in a blog. To find out what's on during ETW click here. We travel abroad to experience different cultures, environments, and ways of thinking. So don’t shut yourself off to experiencing all a country has to offer.